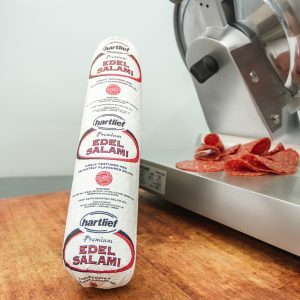 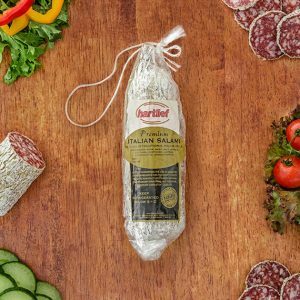 Packed with a prominent pepper flavour, this salami is smooth in texture and rich in colour. 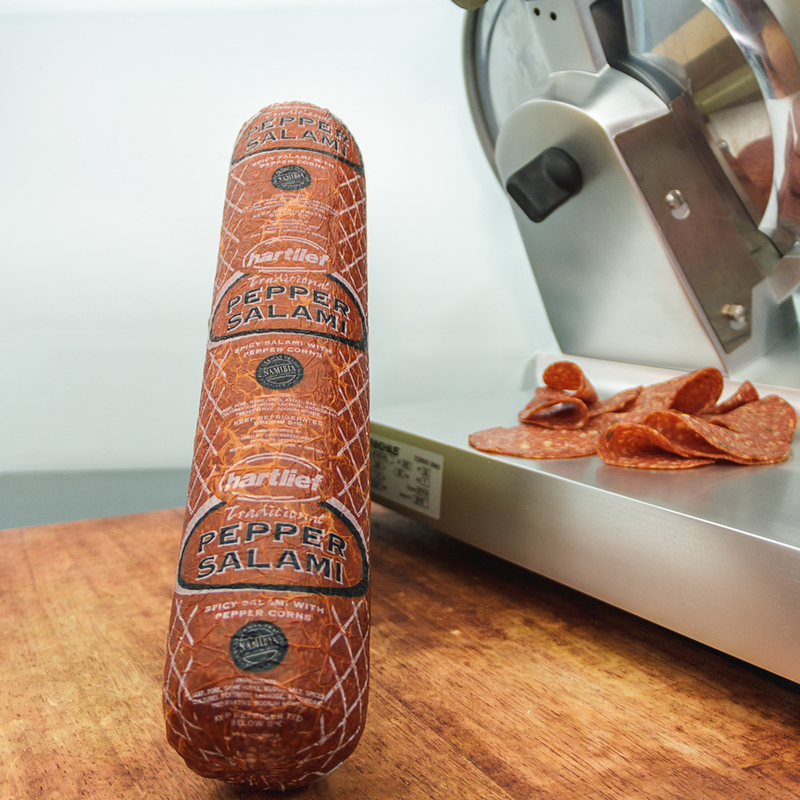 It is made using a combination of red, black and green peppercorns. 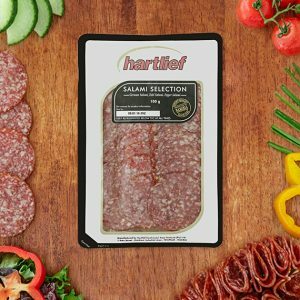 Pepper salami pairs well with the sweet, fruity flavours of strawberries and figs for a uniquely pleasing flavour combination.